Is Bitcoin Lottery any Better than Online Lottery? Online Lottery VS. Bitcoin Lottery: What’s Your Opinion? It’s as if the changes will never stop! The online lottery was a huge step forward, allowing players from all around the world to gain access to the most prestigious, most rewarding lotteries. Now, I can’t imagine playing the lottery the “old way”. Going down to the local shop, to buy lottery tickets for the local lottery, keeping them, storing them and doing everything manually just seems like a struggle to me. Not so long ago, the online lottery got its baby brother. Well, it’s more of a cousin, because it works in pretty much the same way. However, there are way more implications, that, on the one hand, can make you a profit, but on the other hand, can make you incur a loss. As the title says, I’m going to give you my take on Bitcoin Lottery VS. the best thing that has happened to lottery players, the Online Lottery. This is how I view the Bitcoin Lottery meeting online lottery players, with the unstoppable force being lottery players. Why? Because nothing can get in their way. For what it’s worth, there will still be “conventional” online lottery. Nobody is forcing you to get your hands on Bitcoins and play bitcoin lotteries. However, for all we know, we can only see the tip of the iceberg. That is, you can see the tip, I went below the surface, and I’m not sure what to think of what I found out. In order to make the comparison conclusive and objective, first, I want to reiterate what the online lottery did and currently is doing for the global lottery player base. After all, we should be thankful about it. First and foremost, it removed any borders. The online lottery industry became a global thing. 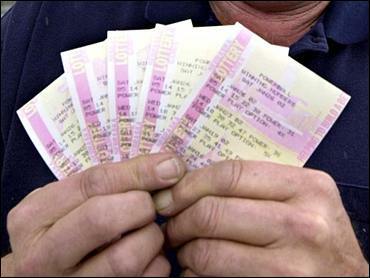 If you’ve ever bought a lottery ticket at any point in time, in a retail shop, you can play the lottery online and win. Many governments are not paying attention to lottery winners at all. Online lottery also sets the ground for record breaking, fast growing lottery jackpot prizes. This has also made the lottery an attractive game of chance. Online lottery clubs, syndicates, forums and other platforms have emerged, connecting players from different continents, that eventually makes the whole lottery experience much more exciting. Moreover, players now have access to useful information, tools, tested strategies, analysis of past results and much more! Your home turns into a lottery shop. All you need is internet access, a computer or a mobile device. Now, I said earlier that there are certain restrictions, limitations in regards to who can participate in the lottery. Bitcoin became so popular because it’s absolutely anonymous. In the eyes of the operator, you’re just another customer, with no name, no address, nothing, zero! Most lottery operators have this approach, but due to the legislations, certain retailers and operators might at some point in time require a proof of identity. Moreover, the Bitcoins are invisible to the authorities. This is why many governments all over the world are making attempts to legalize it and start controlling it, to impose taxes. If they’re asking me, they’ve already lost this battle. Heck, they’ve even lost the war! Bitcoin promises, no, it guarantees there will always be online lottery. 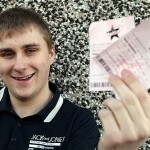 It also guarantees players from any country, any region to have access to online lottery. That’s why I said it’s a cousin, in a way, not a brother. Nonetheless, not all that glitters is not gold. Bitcoin lotteries have their own cons, that keep elderly players away from it. It’s too big for somebody with traditional values to take a shot at bitcoins. In addition, they tend to be popular among tech savvy people, players who are keen on technology and are willing to take a risk. Take a risk? Well, yeah, the Bitcoin is a cryptocurrency, and it has value just because somebody is willing to buy an encrypted code. Sure, certain payment providers now give you the option to withdraw money from ATM, converting your Bitcoins in a regular currency. The understanding of technology and how the Bitcoin works seem to be the only entry barriers. My personal take, the Bitcoin is probably the biggest thing that has ever happened that can have a major impact on the global economy, the banking system and the financial industry as we know it. 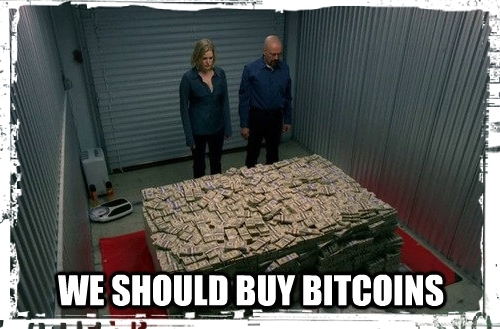 This also applies to other cryptocurrencies as well. Note, this is just my view on the Bitcoin lottery. I have no problems with technology. I consider myself a tech savvy person. Most likely, this is why I consider Bitcoin lotteries an upgraded version of online lottery. At its core, in its essence, it’s still the same game, but I think it’s too early to jump into the cryptocurrency world for this purpose. Sure, if you want to bet on the Bitcoin as a currency, go for it. However, if you’re going to enter this new market solely because you want to play a Bitcoin lottery, or two, I recommend not doing it. Yes, you’re still a great lottery player, with the only thing that’s changed being the currency. Could Bitcoin Lottery Be a Hint of Something Bigger? Probably. To be honest, I’m quite sure it is hinting to something even bigger. One thing’s for sure, you will always be able to use the money you have now. After I finished the research, I realized Bitcoin businesses have a number of competitive advantages. For starters, they’re not a subject to rigorous audits, legislation, rules and random checks by the authorities. Their success is based primarily on the reputation they have in their respective markets. This is big. Because they have lower costs, they can offer better service, better products at a lower cost. Lower overheads mean they can operate with decent margins, yet make the same profit, probably even a bigger profit. How does this play in the favor of Bitcoin Lotteries? Well, they can make the game rules more liberal than conventional online lotteries. In other words, they do not need high revenues to break even. Instead, they keep only a tiny percentage to cover their already low costs, and return almost all the revenues back to the players in the form of lottery prizes. If you’re enjoying it As It Is, Keep Doing It! I’m not preaching, but if you like what you’re currently doing, keep doing it. Chances are, you’ve already found what gets you up in the morning, and that’s what matters! Bitcoin lottery or just a common online lottery, it pretty much is the same. It’s the same, but only on a fundamental level, from the perspective, or the eyes of a lottery player. As I said earlier, there are other long term implications of getting Bitcoins, and using them, the basic being the fluctuation of the bitcoin. This is why I’m telling you, to keep doing what you do. 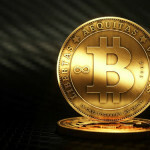 If you were looking for something new, Bitcoin lotteries are a good place to start. Otherwise, stick to your favorite lottery! 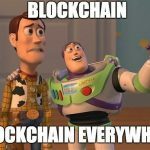 What the Heck Is Blockchain Lottery? Bitcoin lottery: what is it and how to play?